FACT CHECK: Were the Words 'Hail Satan' Hidden on the United States $10,000 Bill? 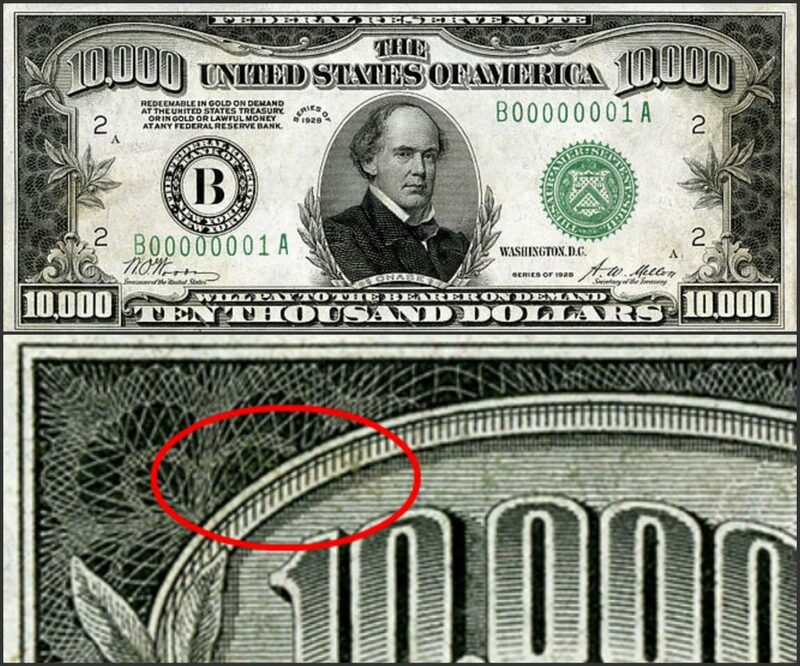 Were the Words ‘Hail Satan’ Hidden on the U.S. $10,000 Bill? According to longstanding rumors, subliminal messages appear in certain banknotes. 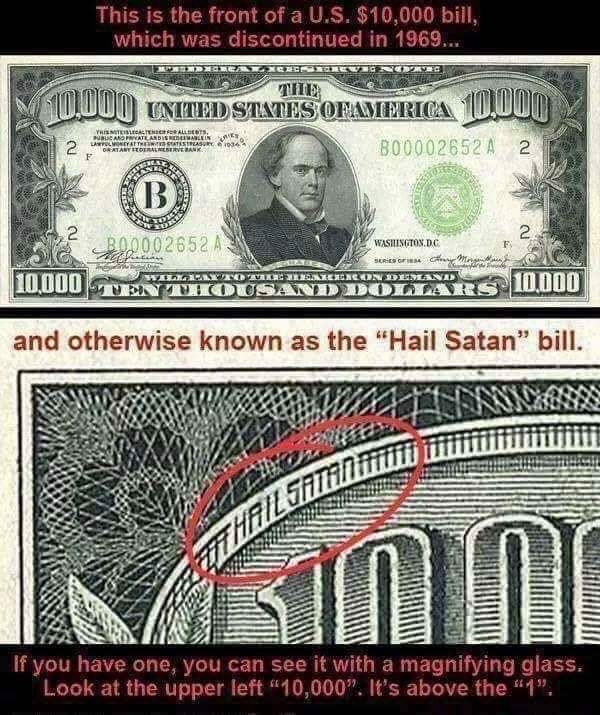 The phrase "Hail Satan" was embossed on the U.S. $10,000 bill. 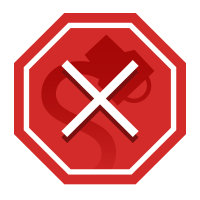 Rumors abound about images or words supposedly hidden in currency, either to send a message or to subtly manipulate populations. For example, a U.S. flag cannot be seen on a Canadian $2 bill, President Obama did not remove the words “In God We Trust” from American currency and a stack of pancakes does not appear on the $5 bill, no matter how ingeniously it is folded. Mental Floss. 12 January 2010. Library of Congress. 14 January 2013.